Student projects at RBGE: DNA barcoding of the leafy liverwort genus Herbertus Gray in Europe and a review of the taxonomic status of Herbertus borealis Crundw. University of Edinburgh/RBGE student David Bell, studying for the Masters degree in the Biodiversity and Taxonomy of Plants; thesis submitted August 2009. Supervisors: Dr David Long and Dr Michelle Hart. 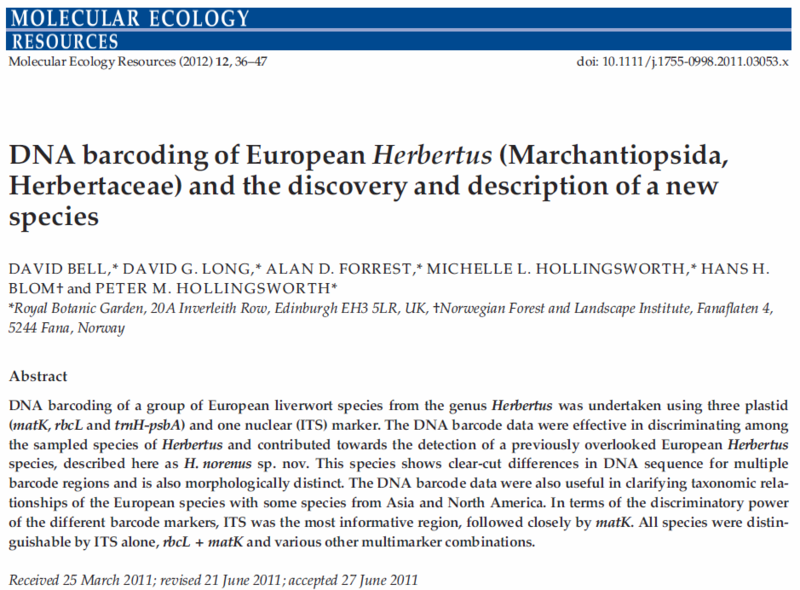 David used plastid DNA barcode markers rbcL (from 34 accessions) and psbA-trnH (from 36 accessions) to look at the four species of Herbertus in Europe, H. aduncus subsp hutchinsiae (British Isles, Norway and Faroes), H. stramineus (British Isles, Norway and Faroes), H. borealis (Scotland and Norway) and H. sendtneri (European Alps). 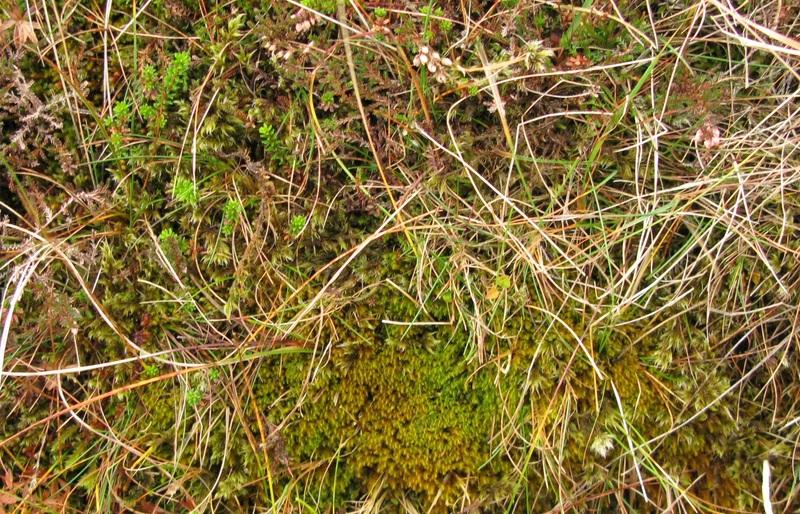 In addition to the four recognised taxa, David’s study identified a fifth species, later named as H. norenus, that occurs in Norway and the Shetland Isles. A paper based on David’s MSc thesis work was published in Molecular Ecology Resources in 2012. Student projects at RBGE: Barcoding British Liverworts: Plagiochila (Dumort.) Dumort.